Carlo Bugatti’s furniture pieces are one of a kind and often do not fit one specific artistic style. 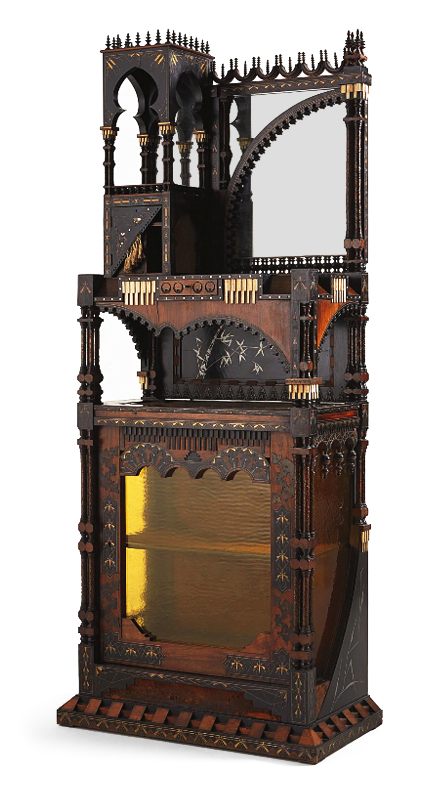 He drew inspiration, as evident in this cabinet, from Japanese, Moorish and Arabic design. This cabinet is classified as Arts & Crafts because it was created during the Arts & Crafts era at Bugatti’s own workshop in Milan and is the result of individual handiwork and craft. 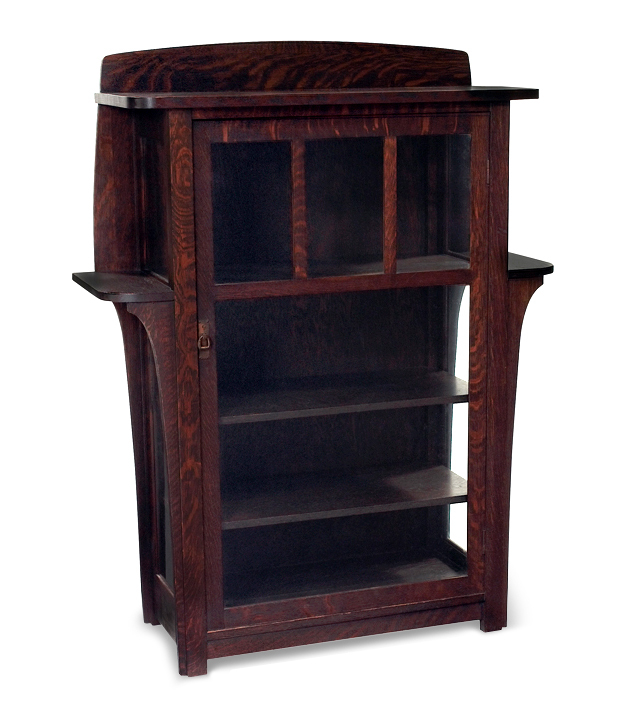 Bugatti was a furniture maker, architect and jeweler and such versatility is evident in this cabinet with his wide choice of materials. Bugatti achieved considerable renown for his furniture, exhibiting pieces at the 1888 Industrial Arts Exhibition in Milan, the 1888 Italian Exhibition at London’s Earl Court in England, the 1900 Exposition Universelle in Paris, the 1902 International Exhibition of Modern Decorative Arts in Turin and many other exhibitions throughout Antwerp, Amsterdam and Turin. 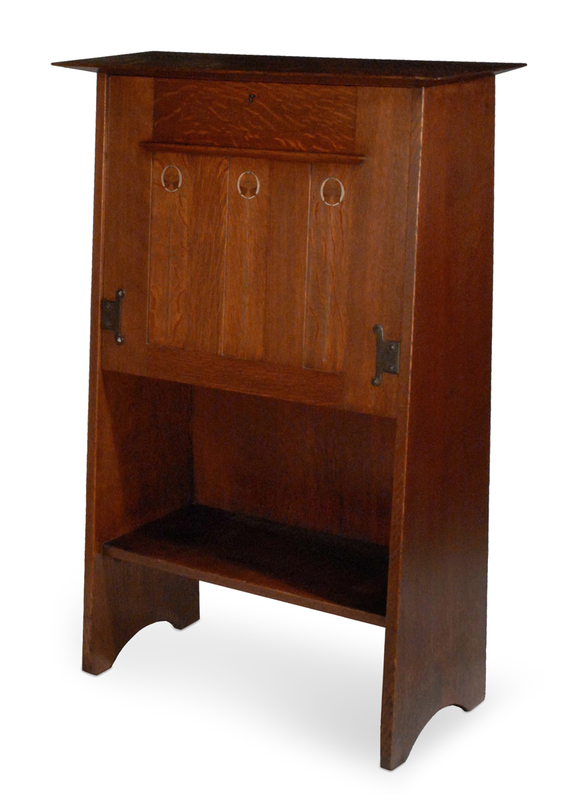 Bugatti’s design career and furniture making was at its height when this cabinet was made.